Affordable, economical to run and designed to be compact enough to thrive in the city. The Suzuki Alto boasts a cheeky look thanks to its cute exterior styling, while the cabin offers a surprising amount of space for a model of this size. 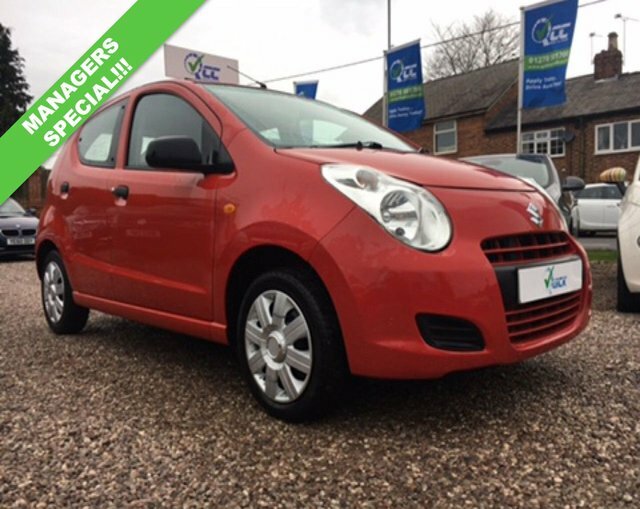 You can take a closer look by viewing one of the used Suzuki Alto cars for sale in Macclesfield at our showroom. A member of the team will be more than happy to help you arrange a test drive, and if you have any questions you'll find that impartial advice and friendly guidance is never far away. At Quick Car Credit we're proud to offer an unrivalled level of customer service so let us help you find your next used car.